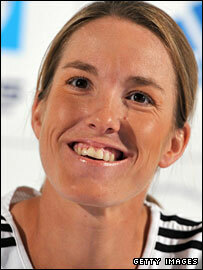 World number one Justine Henin has announced her retirement from tennis with immediate effect. The 25-year-old insists her decision is final after confirming the shock news in her native Belgium on Wednesday. "It's the end of a wonderful adventure but it's something I have been thinking about for a long time," said the winner of seven Grand Slam singles titles. Henin headed the WTA rankings for the 117th time this week, but pulled out of the Rome Masters blaming fatigue. The WTA has confirmed that Henin will be removed from the next world rankings, leaving the top spot to Maria Sharapova. Olympic champion Henin has been enduring one of the worst slumps of her career this season, losing four times in the past four months. She suffered a shock defeat by Russia's Dinara Safina in the third round of the German Open last week in only her second match after a month off with a knee injury, losing 5-7 6-3 6-1. The news comes less than two weeks before the start of the French Open, which Henin has won four times, including each of the past three years. "I'm at the end of the road," confirmed the winner of 41 WTA singles titles, after the Belgian press leaked stories of her imminent retirement on Wednesday morning. "This is the end of a child's dream. "I have experienced everything I could have. I have lived completely for tennis. "I am relieved and proud of what I achieved." Speaking in Berlin just before the German Open, Henin revealed that she had been thinking hard about life beyond her career in professional tennis. "I'm young in life, but starting to get old on the tour," she said. "I'm growing up and I need different things. "Even physically, I don't recover as well as I did when I was 20. That's normal. "Now I've been playing tennis for 20 years and it's been my whole life but as a woman, as you get older, you need to think about the future. "A new future is ahead and I won't go back on this decision." Henin split from her husband Pierre-Yves Hardenne early last year before enjoying a reunion with her estranged father Jose and her siblings. And her coach Carlos Rodriguez admitted Henin had lost her drive for success after reconciling with her family. "Tennis became more than just winning for Justine and just winning wasn't enough for her anymore," he said. "She used tennis as an outlet for her emotions and finally with her life now reconciled, she no longer has the fire that drove her to success. "She has come full circle. She started and finished her career surrounded by those she loved, especially her family. It's the perfect end." BBC Radio 5 Live tennis correspondent Jonathan Overend said both Henin's decision and its timing were huge surprises. "It's a bolt out of the blue. Nobody in the world of tennis saw this coming," he said. "You have to remember this is her favourite time of year with the French Open beginning next week. "She's undefeated in that Grand Slam event since 2004, so to retire now is quite jolting and will make people wonder about the true reasons." Am I the only person who is stunned by this news? Larry Scott, chief executive officer of the WTA Tour, said Henin would be remembered as one of the all-time great champions in women's tennis. "[She is] a woman who made up for her lack of size with a will to win and fighting spirit that was second to none," he said. "It is rare that an athlete leaves at the very top of her game in this day and age, but Justine has always played by her own rules, in the very best sense of those words. As the reigning women's singles Olympic champion, Henin will not defend her title in Beijing in August at the 2008 Games.